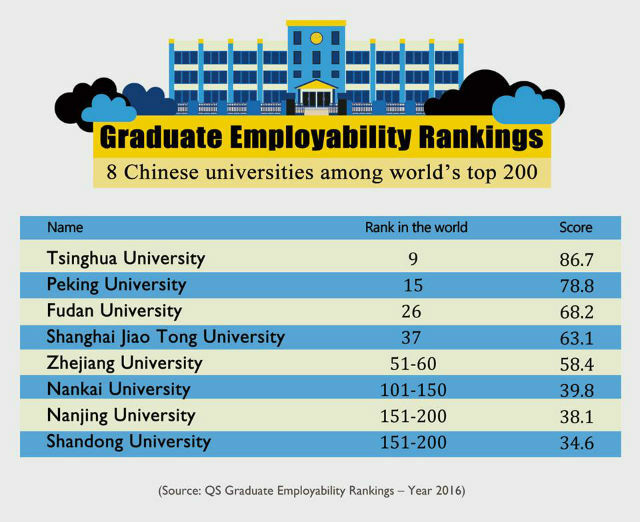 According to results from the UK-based QS World University Rankings, Tsinghua University leads eight Chinese universities in the global top 200 for employability. The latest QS Graduate Employability Rankings were released on Thursday, with the US's Stanford University took the first spot, followed by Massachusetts Institute of Technology (MIT) and Harvard University. Tsinghua University shot into the top 10, ranked 9th. 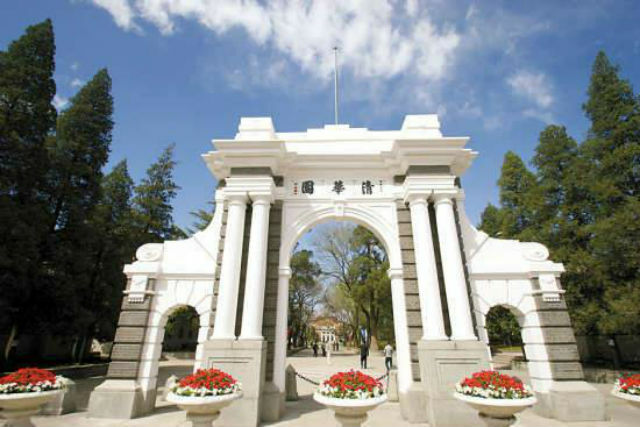 Seven other Chinese universities are among the top 200, including Peking University (15th), Fudan University (26th), and Shanghai Jiao Tong University (37th). According to the QS, the assessments were made based on performances in five aspects, namely, reputation among employers (30%), alumni outcomes (20%), partnerships with employers (25%), employers' presence on campus (15%) and graduate employment rate (10%). "The remarkable results of Chinese universities show that their achievements have been widely recognized internationally," Xinhua News Agency on Friday quoted Zhang Yan, China Director at the QS Intelligence Unit, as saying.